Someone named Mr. FTC says I have to tell you at the beginning of my post that Iams provides free food for me & the kitties who live with me. We’re proud Iams bloggers! I want to take this opportunity to introduce you to my friend Griffin. Griffin is the V.P. 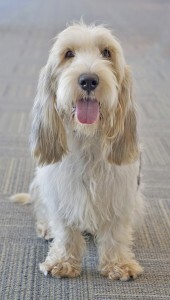 of Canine Communications for Iams, Eukanuba and Natura Pet Food brands. His full name is Pawl Griffin; however, his call name is “Griffin.” Fans actually named him via Facebook. Vendéen – the area of France where the breed originated. 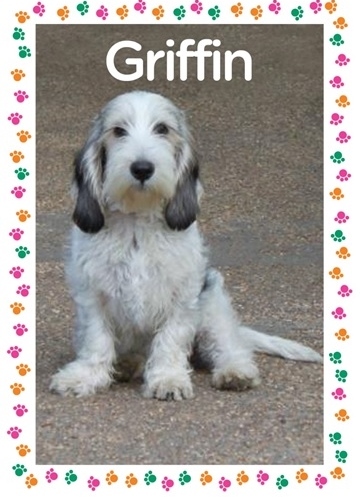 A PBGV is a French scenthound that was originally developed to hunt small game over rough and difficult terrain. The color of Griffin’s coat is white with a combination of tan, sable and black markings. 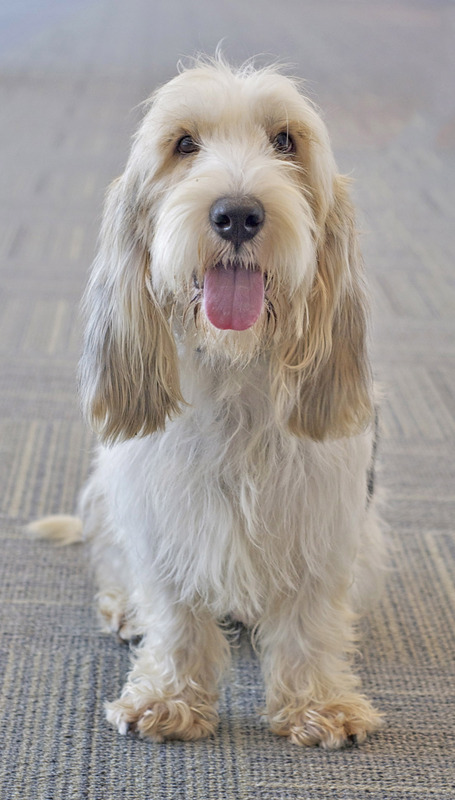 For additional information about PBGV’s please visit the AKC Breed Standard. 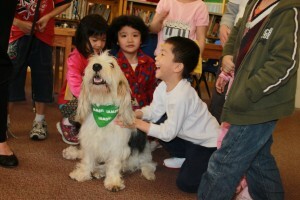 Griffin is happy go lucky, extroverted, and smart. He is free with his voice, curious by nature and eager to please. He is never timid nor aggressive. He thrives when he is the center of attention. He is excited about life and trying new things. 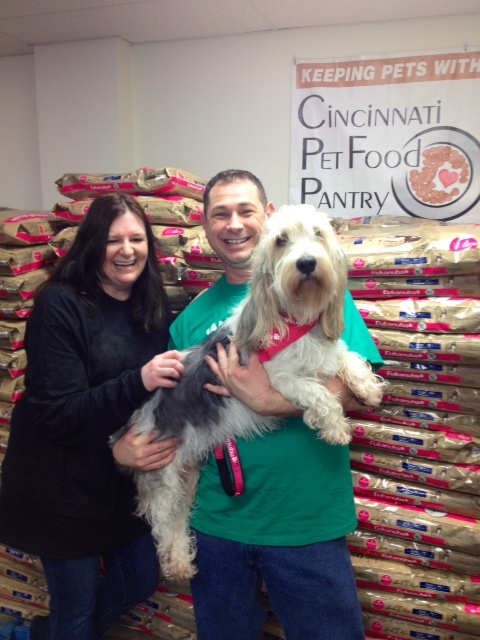 Here’s Griffin helping out with a delivery donation of food to the Cincinnati Pet Food Pantry in March. 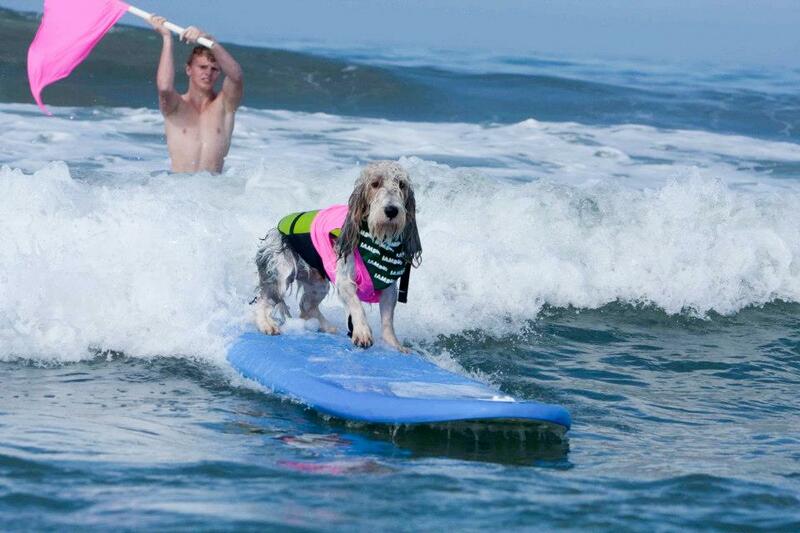 Griffin got on a surf board in September–his first time surfing! 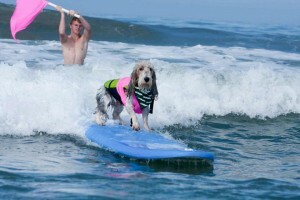 This took place in San Diego and was part of an annual fund raiser for Helen Woodward Animal Center. How cool is that? A surfer dude! This photo was taken when Griffin took a trip to Boston in July of 2012. His stops included a P&G donation of books for Operation Outreach-USA. Looks like he made those kids pretty happy doesn’t it? He’s done an awful lot for being such a young dog hasn’t he? Stay tuned, I’ll be interviewing Griffin soon to learn more about his cool job! That is one cool woofie!!! Griffin is a very handsome pup. We look forward to the interview. Well Griffin is quiet the dog and I bet Imas is very proud to have him be a rep and all the wonderful things he does. Where we go to ‘camp’, the peeps are breeders of PBGVs. They are one of the only breeders in Oz. Griffin is one cool pup and such a handsome dude! Wows! Griffin sure is cool! Wish I could surf! Griffin looks like a great dawg! Hey Oskar. We just dropped by to say hi. We know we haven’t visited you often. Whoa, I’ve heard the name but never met him. TW has a friend with almost the same name only she’s a human. Wow – Griffin is one cool dog!! Hello griffin. You’re such a cool woofie.